I am going to admit something to the world. I prefer to take the easy way out when it comes to frying chicken. 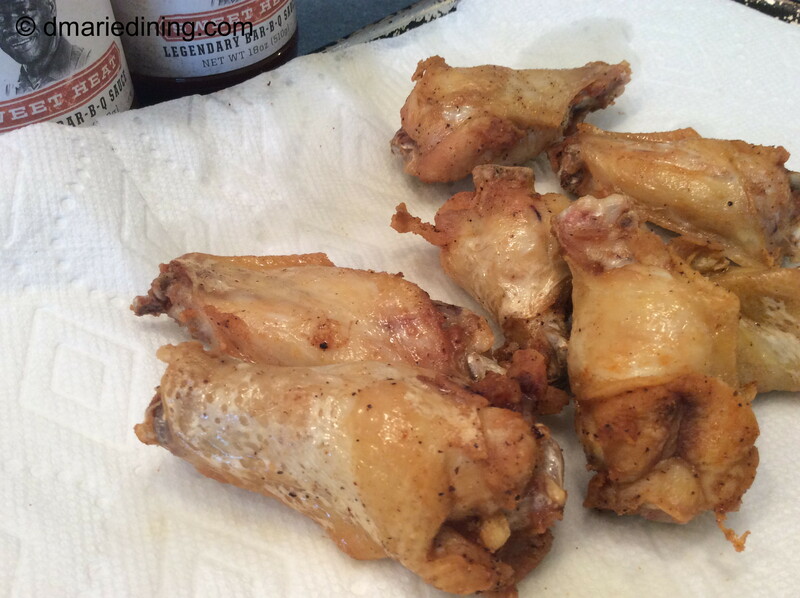 Chicken wings and specifically chicken wingettes are the easiest pieces to fry if you are frying chicken. Wingettes are already cut into pieces and do not need a lot of cleaning. Other parts of the chicken like the breast and thigh need tender loving care to make sure you get most of the fat and other questionable things off of the chicken. Drumsticks are not hard to clean but they take longer to cook than wings. So yes, I can be a little lazy when it comes to frying chicken. That being said I do love fried chicken and don’t mind frying up a batch of wings for the family any day of the week. I came up with my Garlic BBG Chicken Wing recipe after watching a food show that showed the cook adding garlic to a butter sauce then pouring it over fried chicken wings. I liked the idea of adding garlic and butter to a BBQ sauce then pouring it over fried chicken wings instead of a plain butter sauce. The result was quite tasty and since I baked the wings after frying them and drenching them in BBQ sauce there was a nice little char to the wing. 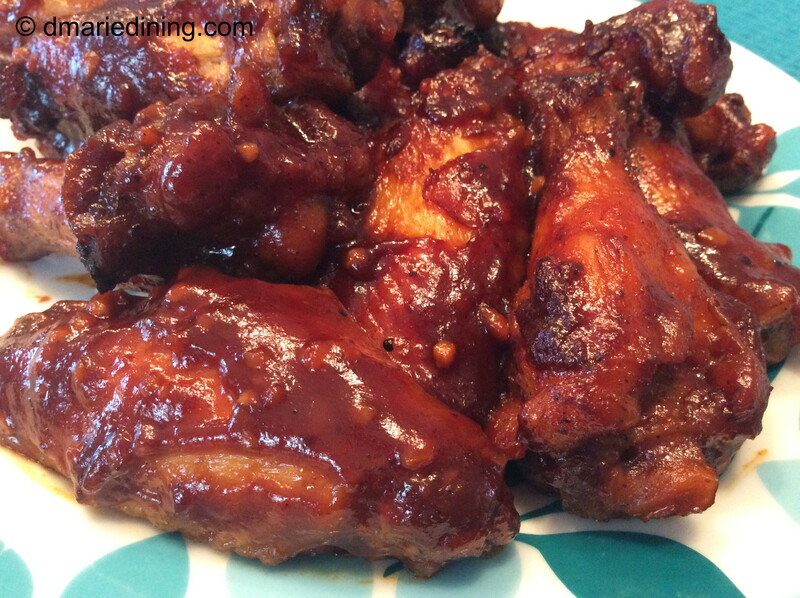 This recipe is simple because you can use whatever flavor BBQ sauce you like the best. If you want something a little sweet but spicy, try Stubbs Sweet Heat BBQ sauce. The sauce has a nice tang and you can feel a subtle heat in the back of your throat as you eat. Adding the garlic just added another wonderful level of flavor to the wings. There are so many different flavors of sauce that will work well with this recipe. 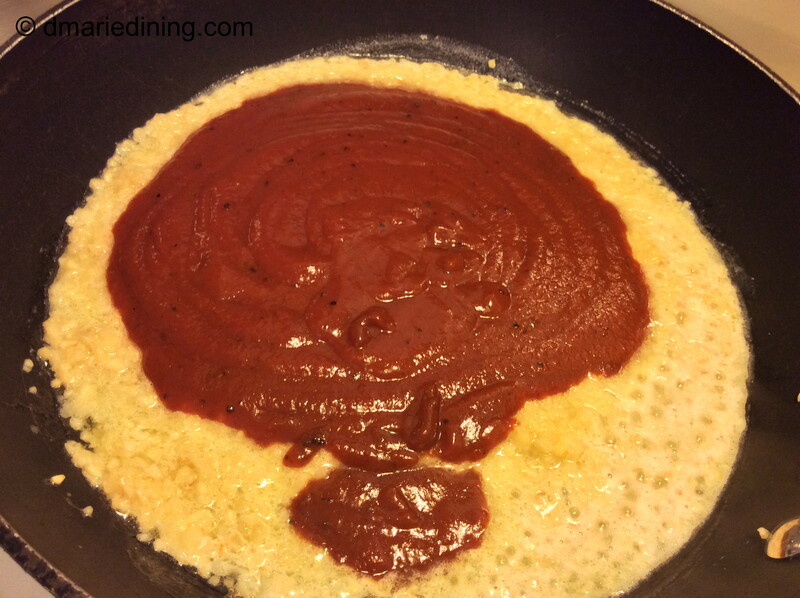 Start out by experimenting with your favorite BBQ sauce then go from there. 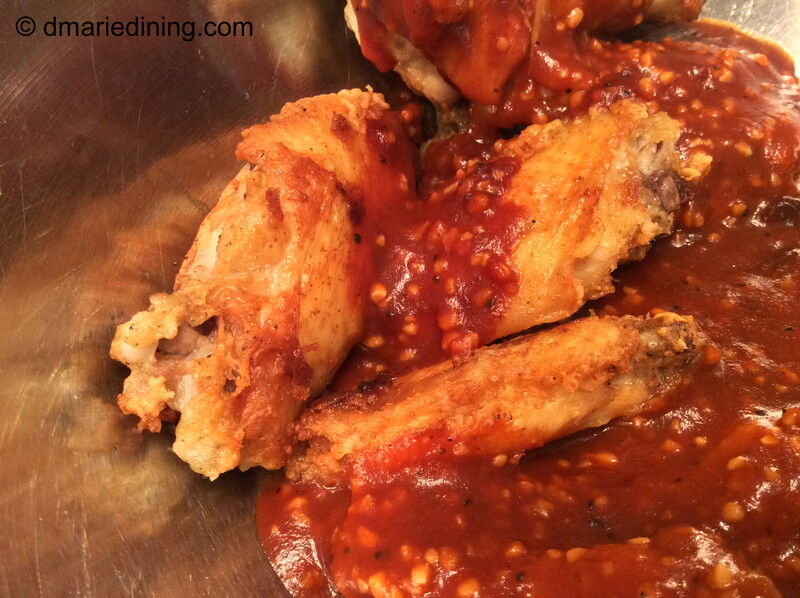 I am 99% sure you will enjoy these wings no matter what sauce you decide to use. In a large bowl season chicken with salt and black pepper. Add oil to a dutch oven or large heavy pot (about half way up the side of the pot. Turn heat to medium high until oil begins to smoke slightly. If you are brave, flick a drop of water into the pot. If it sizzles the oil is hot. 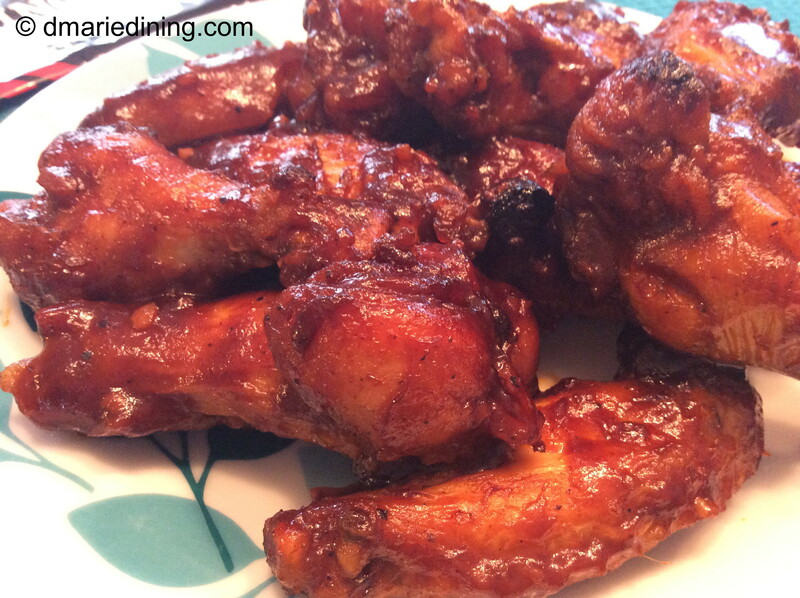 Cook chicken wings in batches (8 – 10 pieces each time) until they are crispy. Drain on paper towels. In a medium sauce pan melt butter over medium heat. Add garlic and saute for 2 minutes then add BBQ sauce. Stir to mix butter, garlic and sauce. Reduce heat to low to keep warm while cooking chicken. Add chicken and sauce to a large container with a top. Shake to coat the chicken wings. Spread chicken out on a foil lined baking pan. Bake in the oven for 10 – 15 minutes.